Here is a simple and really useful guide for Adsense publishers that will show you how to create custom Adsense channels to track your earnings on different websites and articles. If you monetize your content with Google Adsense on different places online then this will help you to see how which site makes you the most and compare earnings from different places online. It's a good way to see which site you should pay more attention to and which content don't make you money. 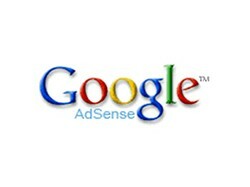 Creating new channels in Google Adsense is really easy and fast. You can have a maximum of 500 custom Adsense channel so you can create a channel for every website you have, every revenue sharing site you're participating in and you can also make custom channels for different articles and other creations that you make online to track which article makes you the most. Click on the button "New Custom Channel". Name your new channel and leave the rest for later. See, this was easy. Now you can create new ad blocks and select the channel for each advertisement space when you create it. This way you can track your channels. To track a certain channel just go to Performance report in your Adsense dashboard and choose "Custom Channels" on the left sidebar menu. You might have noticed URL channels on your Adsense dashboard. This is actually the same thing that will help you to track your earnings on different sites but these channels are created automatically when you submit your Adsense publisher ID on revenue sharing sites or blogging platforms like Blogger. Here you can see all your Blogger blogs if you monetize them with Google Adsense and Adsense revenue sharing sites where you left your publisher ID. Wizzley offers writers to monetize their content with Google Adsense, Chitika, Amazon Associates, Zazzle and AllPosters affiliate program. Most of Wizzley users use Google Adsense to create some extra online income. Some are making quite a good job - check out Wizzley earnings reports from TerriRexon. So here is a short step by step guide that will help you to connect your Adsense publisher ID with your Wizzley account to track your Adsense earnings on Wizzley. If you want to see statistics for a certain article you must create a custom channel for this article as instructed above. Go to "My Account" tab in the main menu. Go to Revenue part of your settings. Here you can find different monetizing options. Useful stuff. I use google analytics adsense integration for Wizzley, but I still use an adsense channel too, it's handy for a quick check. And thanks for the mention.